The label Storiart, design, produce and deal original and luxurious numbered silk scarves, adapted from famous contemporary artists. These art scarves are signed by the artist and delivered with a present box. 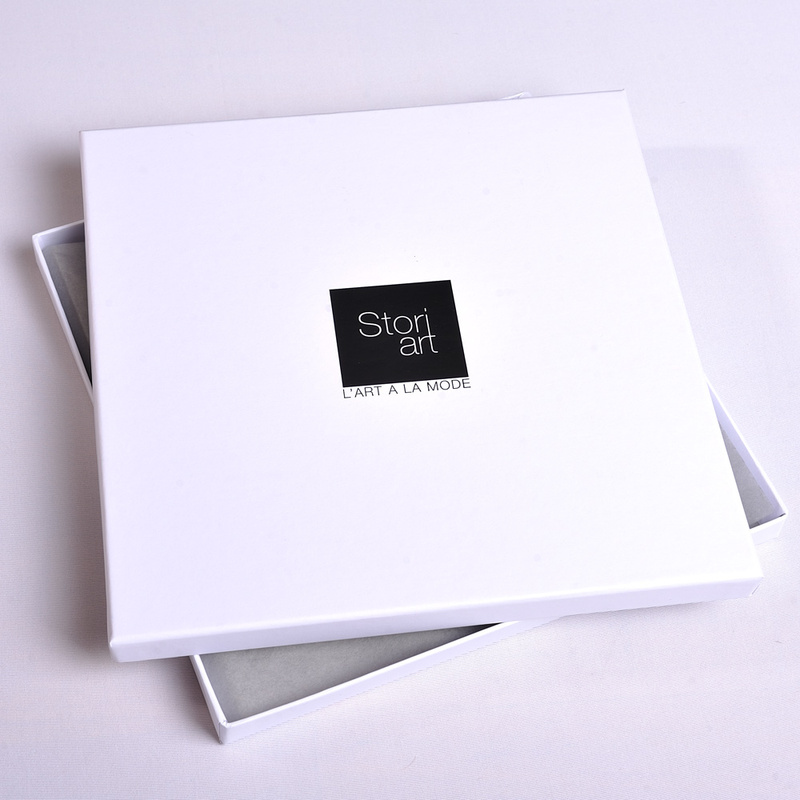 Launched in 2007, the Storiart label aimed to bring together two domains that usually plundered or ignored themselves. With no less than about thirty different artists from various inspirations, our designs are the result of artistic co-workings. That makes original fashion accessories signed by the artist and only 100 numbered prints are made for each design. Storiart’s founder, Jonathan Bunel, comes from an artistic world. He grew up surrounded by artists, agents, art dealers and collectors. From exhibitions to openings, his eyes and his sensibility have evolved considering the meetings and the discoveries he made. Then, Jonathan will become graduate student engineer. Out of school and during a few years, he will learn the necessaries technical knowing to make this “challenge” real. While working in a research center for textile industry, he learned there the modern and traditional processes used by the best French fashion companies. Selection of the silk and its weaving, all the printing process with the respect of the masterpiece colors, ink fixation, or fashioning made by our “petites mains” are as many steps where the label is very watchful. None of our products exit from our factories if it doesn’t fulfill our strict requirements.